Warner Bros. and MGM have unveiled the first two images for their upcoming, highly-anticipated sequel Creed II. We’ve already seen the first official trailer to the film, but since the follow-up is being looked forward to at such a high level, it’s no surprise that these image will make anyone happy. While Ryan Coogler wrote and directed the first film, he followed up that performance with Marvel’s Black Panther, which unfortunately kept him away from returning, rather stepping into an executive producer role for the sequel. Steven Caple Jr. directed the film from a script by Sylvester Stallone. The story of Creed II focuses on a balancing act for Adonis Creed (Michael B. Jordan). Between personal obligations and training for his next big fight, and when challenges arise from both perspectives and with Rocky (Stallone) always by his side, the two of them will confront their shared legacy, question what’s worth fighting for and discover that nothing is more important than family. These first two images show two different sides of the fight. The footage we’ve seen teased a sudden rift between Creed and Balboa, and the two images show that Adonis may very well be fighting a fight without Rocky in his corner at some point in the film. If so, it’s going to add a very interesting twist to the story and I’m excited to see how that is resolved, because there’s no way Adonis can face the son of Drago without the legendary Italian Stallion in his corner. What do you think of the first two images? Are you looking forward to the sequel? How did you like the trailer? All Adonis split from Rocky in the movie? Also starring Tessa Thompson, Russell Hornsby and Dolph Lundgren, Caple Jr.’s Creed II enters theaters on November 21st. 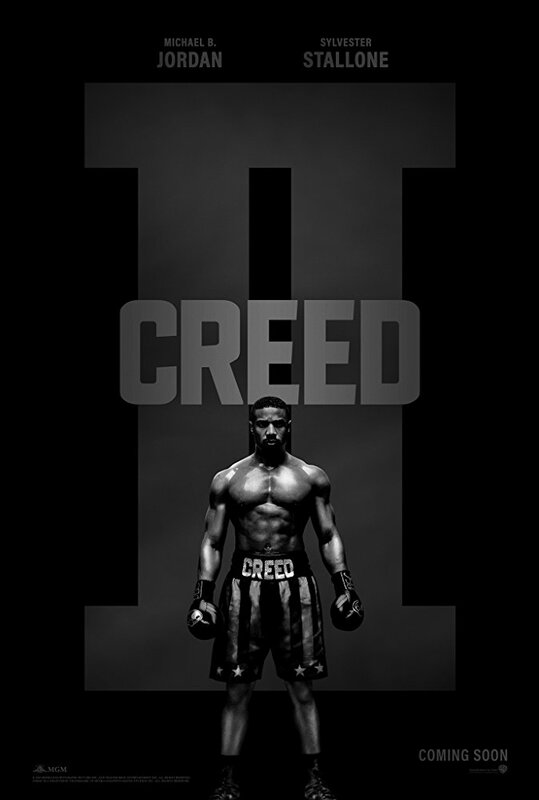 Tagged as: Creed II, Dolph Lundgren, Featured, Michael B. Jordan, Ryan Coogler, Steven Caple Jr., Sylvester Stallone, Tessa Thompson, Warner Bros.